The University of Pennsylvania and other Ivy League schools have earned dismal grades from a philanthropic and advocacy organization for their leave of absence policies for students experiencing mental illness. 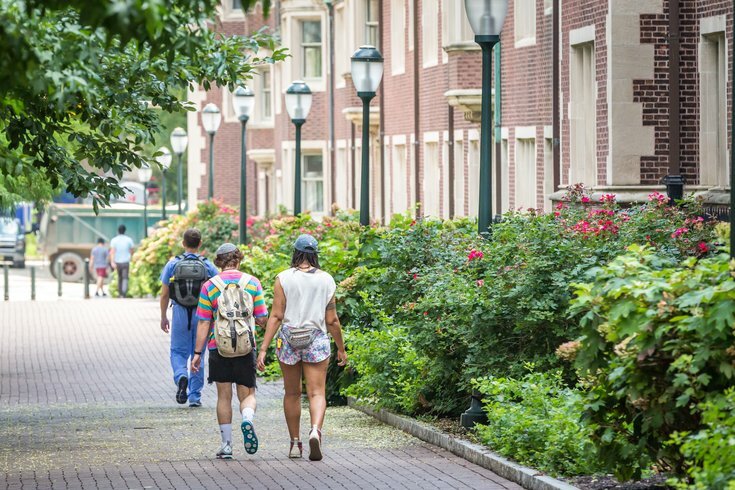 In its "White Paper on Mental Health in the Ivy League," the Ruderman Family Foundation gave Penn a D+ grade for its policies, the best among the low grades scored by the eight Ivy League schools. Two universities – Dartmouth and Yale – received failing grades. The report from the foundation, published Monday by the inclusivity-focused philanthropy, alleges failing and discriminatory practices in the mental health policies at all eight Ivy League schools. It graded each university on its mental health-support practices — based on 15 indicators — and none of them received a grade better than Penn's D+. The foundation examined the common response of the universities to the mental health crisis on campus, including whether or not they provided or imposed leaves of absence on students who are experiencing mental illness. While the leave of absence is generally regarded as a helpful tool for those struggling mentally, they are commonly used as a tool for discrimination — pushing students out of school who are entitled by law to receive accommodations and support that would enable them to stay. The report comes amid a growing mental health crisis on college campuses nationwide. According to the American College Health Association, 40 percent of undergraduates have felt so depressed within the past 12 months that it was difficult for them to function. Additionally, 10 percent of undergraduates have reportedly considered suicide during the past year. Currently, there is a serious lack of collegiate resources helping these students in need. Psychology Today estimates that there is one mental health clinician for every 1,000 to 2,000 students on smaller campuses, and one clinician for every 2,000 to 3,500 students on larger campuses. Penn has had its share of mental health incidents in recent years. In 2016, the suicide count on campus was 12 in just four years. Since then, the count has jumped to 14. Earlier this year, the parents of a former Wharton student sued the university, alleging it failed to respond to her pleas for help in the weeks leading up to her April 2016 suicide death. Half (four) of the Ivy League schools [including Penn] have policies that include “community disruption” as grounds for an involuntary leave of absence. When there is not a threat to the safety of others, behaviors that are disruptive that result from a disability should not result in exclusion. Courts have ruled that discrimination on the basis of disability-caused behavior is the same thing as discrimination on the basis of disability, which is illegal. Four of the eight schools prohibit students from visiting campus while they are on leave. [Penn does not.] This means that students who are taking time away from the academic demands in order to focus on their own well-being become socially isolated, as they are banned from coming to campus to share a meal with friends. According to the Americans with Disabilities Act, students with disabilities are entitled to receive reasonable accommodations, some of which could enable students to stay in school instead of taking a leave of absence. Yet half of the Ivy League schools’ policies [including Penn] do not mention entitlement to reasonable accommodations to mitigate the need for a leave. The majority of the schools (five out of eight [including Penn]) have policies that include a minimum length of time for a leave of absence. The trajectory of mental illness and treatment varies from one person to the next, and the student should be allowed to return whenever he or she is ready. If there is a minimum length for leaves of absence in general (including leaves not pertaining to mental health), the policy should include a statement noting that students with disabilities are entitled to modification of the time restriction— this modification is an example of a reasonable accommodation, under the Americans with Disabilities Act. The report serves as a reminder of the many times brave Ivy League students have come forth with their stories of struggle and discrimination. The findings suggest the universities — supposedly the most elite institutions in the country — are failing as role models in higher education in supporting students with mental health disabilities.